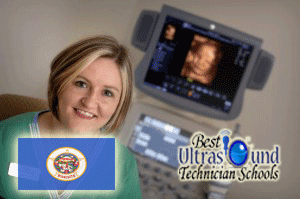 Are you a Minnesota resident interested in working as a sonography tech? If so, read below and learn important information on the various sonography tech schools in Minnesota, as well the programs offered. Although sonography education varies by school, all sonography programs require students to complete classroom courses, laboratory classes and clinical education. The clinical portion requires that students spend a designated number of hours in supervised internships in area healthcare facilities. Courses students may take include sonography principles and instrumentation, ultrasound physics, foundation of sonography, anatomy and physiology, medical terminology and psychology. Students also complete courses, both coursework and clinicals, in various areas of sonography such as pediatric, abdominal, vascular and OB/GYN sonography. Upon completion of most of the programs, the student is eligible to sit for the American Registry for Diagnostic Medical Sonography national certification exams in abdominal ultrasound, ultrasound physics, gynecological and obstetrical ultrasound, echocardiography and vascular technology. Although the salaries for sonograhpy tech in Minnesota vary by location and experience, these medical professionals generally earn very good wages. The U.S. Bureau of Labor Statistics reported that diagnostic medical sonographers earned a mean annual wage of $72,870 as of May 2012. This amount, which is substantially higher than the national average of $66,360, continues to grow each year. According to the Society of Diagnostic Medical Sonography 2013 Salary and Benefits Survey, the median annual wage for sonographers was $70,000. They also reported that the median wage for men ($73,130) was higher than for women ($68,125). Diagnostic medical sonography programs are similar from school to school. Associate degree programs are generally aimed at students starting this career, whereas, bachelor’s degree and certificate programs are usually for registered radiologists who wish to advance their training. Here are the different programs students can take to become ultrasound technicians in Minnesota.